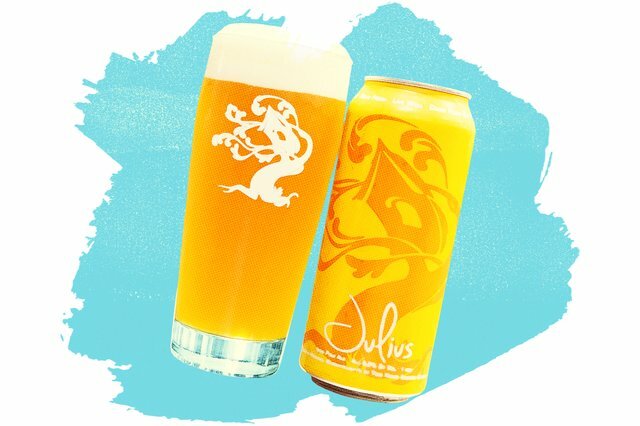 It was 2015, and I was a beer editor at DRAFT magazine, serving Tree House’s Julius to our panel for the first time (I'd already done sampling of my own -- after all, who could resist?). The judges weren't sure what to make of this new beer. On one hand, they seemed poised to award the beer a perfect score -- except, what to do about its hazy appearance, a distinct departure from the trademark clarity an IPA is supposed to have. They argued and argued, citing precedent and contradictory evidence like they were before the Supreme Court. Should they dock it points? Was the glowing, foggy consistency irrelevant? Should they judge it in the same way they’d always judged IPAs, or were we on the brink of a paradigm shift? Fast forward to 2018, and the New England IPA is an established national phenomenon, drawing legions of fans with its aforementioned hazy aesthetic and a flavor profile that emphasizes a softer juiciness met with markedly less bitterness than other IPA styles. The Brewers Association recently codified style guidelines for “Juicy or Hazy IPA”; everyone from Boston Beer Co. to Sierra Nevada makes one; and you can find local versions in taprooms from Alaska to Florida (note their nationwide presence on our 33 hottest IPAs in America). So how did the New England IPA go from cultish East Coast darling to national sensation so quickly? It was a big bang caused by the collision of several converging factors during the early part of this decade. The explosion of the New England IPA simply couldn’t have happened at any other time in beer’s history. “You’d be amazed at how many years we had to defend those beers against people that would just trash us,” John Kimmich, co-founder of The Alchemist brewery in Stowe, Vermont, tells me. The Alchemist’s Heady Topper is the beer that launched a thousand NE IPAs, but it wasn’t always so revered. Kimmich began brewing hazy IPAs with Greg Noonan at the Vermont Pub & Brewery in the mid-1990s, when beers were still expected to look brilliantly clear. Noonan passed away in 2009, but he was one of very few brewers at the time who didn’t care whether his IPAs had a fuzzier quality to them. Kimmich expanded on Noonan’s groundwork when he opened The Alchemist brewpub in 2003, turning out less-than-clear IPAs that achieved intense hop flavor and a refreshing, give-me-another-one quality. His goal in brewing Heady, he says, was to create a beer that smelled and tasted like really great weed. “I’ve always brewed beers to be the way I wanted them to taste. Haze is not the goal; it’s a byproduct,” he says. So Kimmich steadily plugged along at The Alchemist, which didn’t even offer growler fills for its first nine years of existence. People had to drive to his taproom in Vermont to try Heady -- until August 2011. Once he started canning Heady and those silver, 16-ounce cans of magic began traveling and trading across the United States, attitudes seemed to change instantly. "You'd be amazed at how many years we had to defend those beers against people that would just trash us." A regular at The Alchemist pub, Shaun Hill opened Hill Farmstead in Greensboro Bend, Vermont in 2010. The first two beers he brewed -- Edward pale ale and Abner double IPA -- were delicately hazy and soft, in a vein similar to Kimmich’s hoppy beers. Savvy drinkers in the Northeast began picking up what these two breweries were putting down. The duo shared not just a yeast strain -- in 2010, Hill says, only Hill Farmstead, The Alchemist, and the Vermont Pub & Brewery were using the strain Noonan referred to as Conan -- but they had a common philosophy built on self-distribution. Their model predated much of the current taproom-only craze, and showed new breweries that massive regional distribution didn’t have to be the goal: selling beer locally was the ticket. For years, the NE IPA was entirely a taproom style, owing to the fragile nature of the beer. If most of these sat on store shelves for a couple months, their bright hop flavors would degrade and the beer would become drastically less appealing. To this day, Hill Farmstead beers are available primarily through the brewery and at select accounts around Vermont. The Alchemist only self-distributes its beer within 25 miles of its location. Before the NE IPA came along, the trend in hoppy beers was toward aggressively bitter, West Coast-style IPAs with flavors of pine, resin, and grapefruit pith. The IBUs arms race of the mid-2000s saw breweries boasting of developing 100-plus IBU beers and proudly calling them palate wreckers. A lot of consumers assumed they just didn’t like IPAs at all. But while most breweries chased bitterness, some smaller outfits on the East Coast decided to do something different with strains of hops and yeast that were just coming into their own. Many of the hoppy beers Hill Farmstead released off the bat had a softly bitter, unfiltered, and highly aromatic quality. Quickly, customers started to realize that haze in beer -- more suspended solids -- could translate to a softer texture and more palatability. Combine that with the guava, melon, mango, and orange marmalade notes of the new hops being released by hop-breeding programs, and the stage was set for NE IPAs. But hops are only a part of the equation, because the real magic of the NE IPA occurs in the interplay between those hops and yeast. The yeast strains used to brew NE IPAs are different from the Chico yeast brewers would have traditionally reached for: they create more esters, which are sometimes perceived as fruit aromas and flavors, and they tend to leave a fuller, sweeter impression. There wasn’t much chatter about the yeast used to brew IPAs until recently: Most American brewers probably used Chico yeast, and fermented the beer super clean. All the details were in the malt-hop balance. Brewers who were interested primarily in fermentation probably found IPAs pretty boring... until NE IPAs hit the scene. "I'm pretty sure we couldn't make the beer we're making without these hops." Nationally distributed breweries -- the Boston Beer Companies and Sierra Nevadas of the world -- are exploring the phenomenon, too, with the benefits of giant labs and huge pilot-batch system where they can run experiments in yeast-hop interactions. When Boston Beer Company started developing an NE IPA in 2016, in fact, its innovation brewers started with the yeast before any other ingredient. 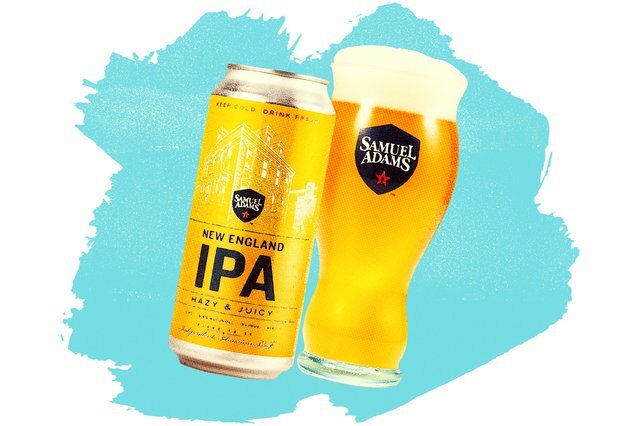 Sam Adams New England IPA debuted in February 2018, and Koch says Boston Beer Co. is “indebted” to the brewers who pioneered the style. B eers attained “unicorn” status in the mid-2010s mostly through beer geek hype -- it’s not like The Alchemist or Tree House was taking out subway ads or Super Bowl spots. Chatter around NE IPAs grew in online rating and trading forums, which were hitting their stride around the same time the first and second waves of NE IPA breweries. Then came Instagram, and naturally beer photographers and traders staked their claim there, too. In such a visual medium, IPAs’ appearance in terms of both can art and haze factor were paramount. T hat brings us to now, 2018, when everyone and their uncle knows what a hazy IPA is and even my favorite local taproom in the decidedly not-New England location of Missoula, Montana brews one. John Kimmich, Shaun Hill, and other pioneers of the style say it’s ironic that the word used now as a shorthand for the style -- hazy -- wasn’t what the style was originally about at all. Luckily for Kimmich, this new look for IPAs has been around enough that our vocabulary is beginning to expand. 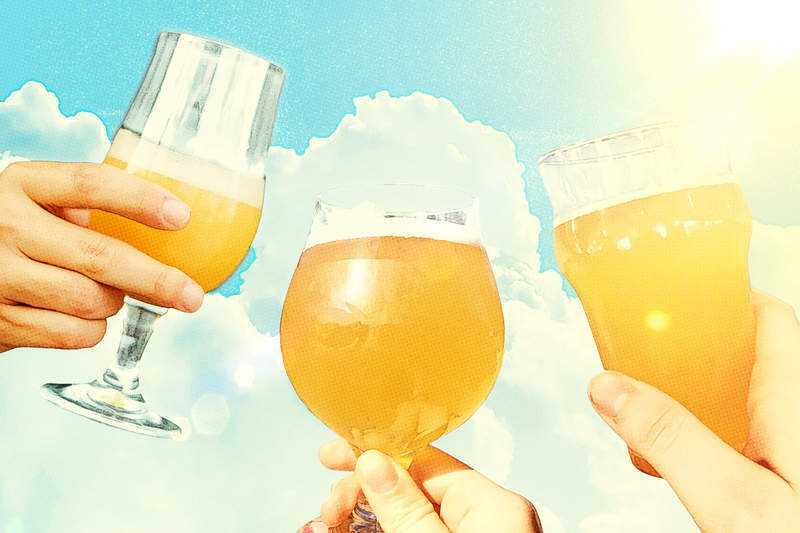 The Brewers Association in March released its guidelines for hazy pale ales, IPAs, and double IPAs, and consumers who’ve tasted many versions of the substyle are beginning to discuss them in more nuanced ways. Variation within the subgenre has emerged: Milkshake IPAs -- those brewed with lactose -- are becoming distinct from versions brewed with oats, or versions that achieve their appearance through extravagant levels of dry-hopping. Regardless of what we call it or what the precise methods for its creation are, a more soft and less bitter version of IPA is here to stay. And there’s likely even more evolution, experimentation, and juicy hop flavor ahead.